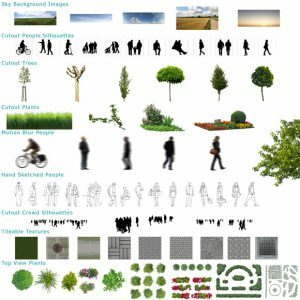 What is the "open ArchiVIZ pack" ? It should help all architects to improve their visualization results. We hope to encurage you to test new things and simply be creative! With this free collection we especially want to support all the students out there. ​Can I use ​it also for commercial projects? ​Yes! You are allowed to use the graphics for your commercial projects. But please note that it is not allowed to share the graphics with others. If you want to share the “open ArchiVIZ pack“ with your friends, colleagues or fellow students, please recommend us! ​How can I download the “open ArchiVIZ pack“? ​Please enter your first name and a valid e-mail adress in the form ​below. Then you will ​receive an confirmation email where you have to click the link to validate your email adress. From time to time we will keep you updated regarding new releases of this collection. Additionally you will get roughly every two weeks extra links with free downloads, tutorials etc. If you do not like it – just subscribe whenever you want- But think twice – you miss good stuff! How can I say THANK YOU Tony? ​​First and foremost: Recommend us to your friends! Pin the images, share this on Facebook, Twitter, Pinterest or even link this page. Honest recommendations are specially apprechiated! ​​Do you need even more ArchiVIZ graphics? 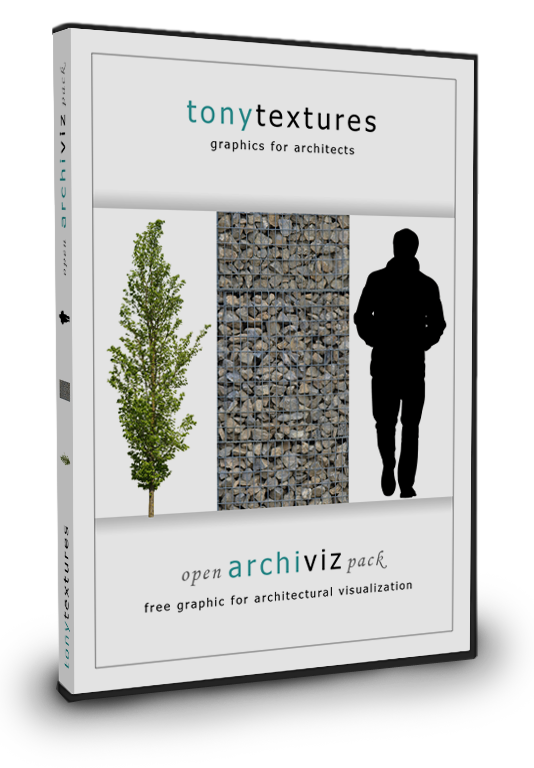 ​Then check out our "Blog" and "Free Download" section for additional free downloads for architecture visualization enthusiasts.